Data analytics is a big term and many tools accomplish this. After you have analyzed your data using Hadoop, it’s time to represent it. 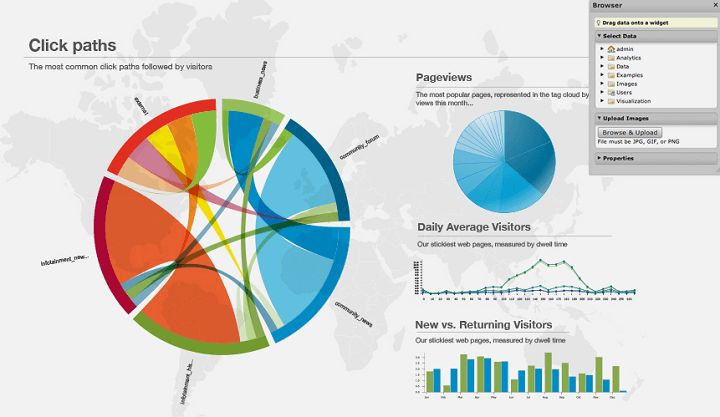 So, let’s see some of the best Business Intelligence BI tools for Big Data. Business Intelligence (BI) tools are mainly used to present the data in a more graphical form so that business and non-technical people can also understand the meaning of it. Further, these graphs and charts are being used to take important business decisions. Although there are a huge number of BI tools for Big Data or any other data analysis languages are available but all are not so effective. In this top BI tools for Hadoop article, we will be talking about some of the best Business intelligence tools for Hadoop developers and data scientists. Also, we will be doing a detailed comparison of which one is good for you and which BI tools for Hadoop will best suit your work. Also, this is a fact that BI tools were available before Hadoop came in existence. But after Hadoop and Big Data it has been more demanded. Although some of these BI tools are more inclined certain niche like Healthcare, Travel, BFSI, etc. but we will be focusing on those which is more towards Hadoop. So, let’s start with some of the best Business Intelligence tools for Hadoop developers and data scientists. You will also be able to see which one suits you better and why. Also, at the end of the post, we will do a detailed comparison based on certain parameters for these Bi tools for Hadoop. I like Tableau a lot due it’s features and integrations. Tableau is one of the leading BI tools for Big Data Hadoop which you can use. 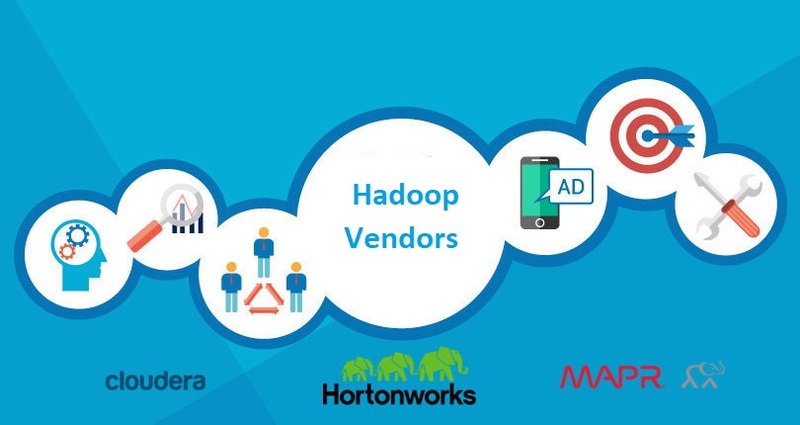 It provides the connectivity to various Hadoop tools for the data source like Hive, Cloudera, HortonWorks, etc. 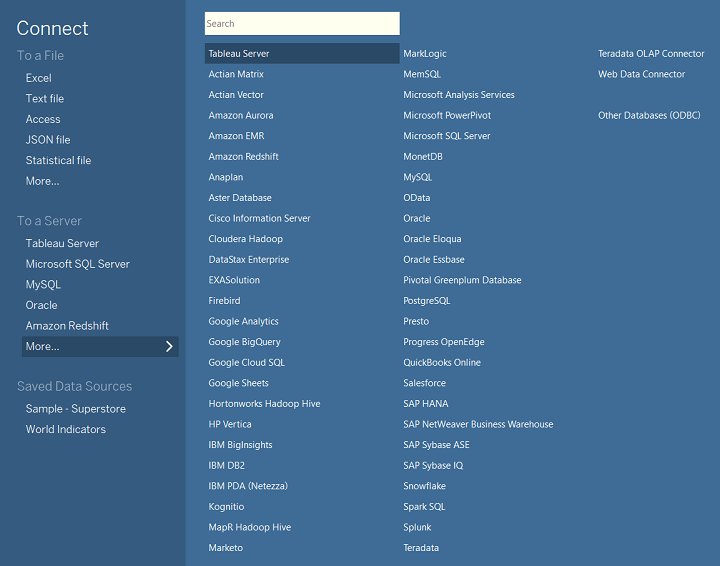 Also, not only with Hadoop, Tableau provides the option to connect the data source from over 50 different sources including AWS and SAP. You can have a look at the connections supported by Tableau below. Once you will connect with any data sources, you will be able to access your data and do the required work like reporting, charts etc. As a visualization tool, Tableau is highly advanced and provide numerous of features like bar graphs, pie charts, heat maps, world map and many other features. You can have a look at the sample dashboard below. We are also starting our own tutorial and courses on Tableau. If you want to know when we come live, do subscribe us. Early joiners will get great offers as well. Datameer is also a popular BI tool for Hadoop and Big Data. Again, Datameer doesn’t only support Hadoop but also many other data sources like SQL, MySQL, Excel and many advanced tools and frameworks. 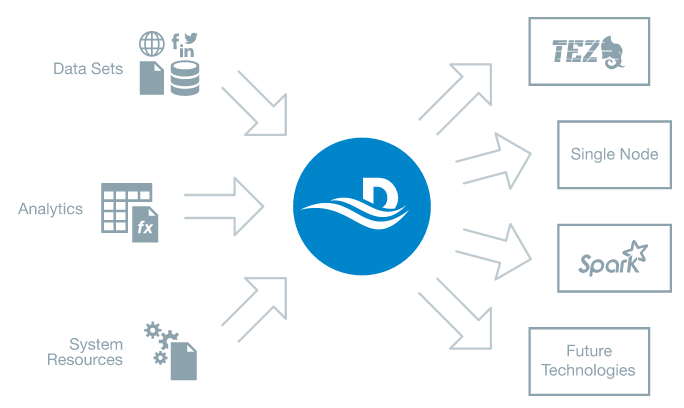 With Datameer’s self-service analytics, you can perform all the steps yourself – integration, preparation, analysis, visualization and operationalization. 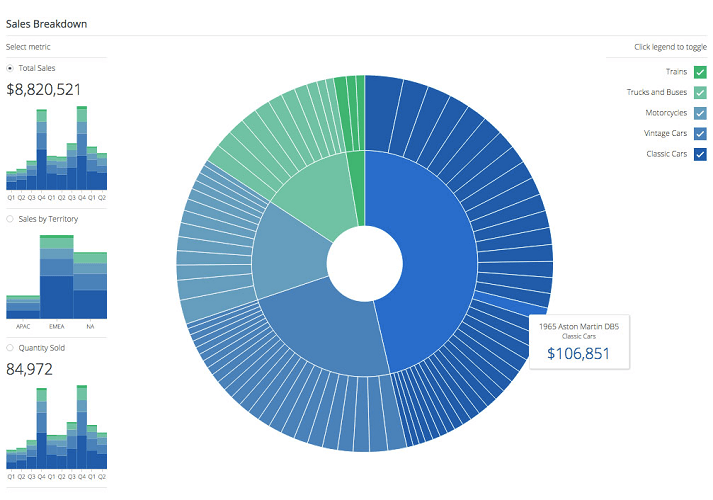 You can have a quick look at the sample dashboards designed using Datameer here. 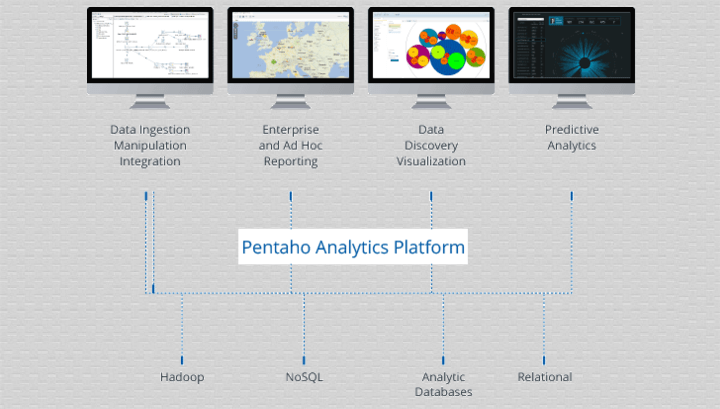 Pentaho is a Hitachi group company providing an analysis platform for Big Data and Hadoop. Pentaho platform provides big data tools to extract, prepare and blend your data, plus the visualizations and analytics that will change the way you run your business. From Hadoop and Spark to NoSQL, Pentaho allows you to turn big data into big insights. Here is the architecture of Pentaho like how it actually takes the data and analyses. So you use different data sources like Hadoop and Pentaho platform provides you an option to do data integration, visualization, and reporting. 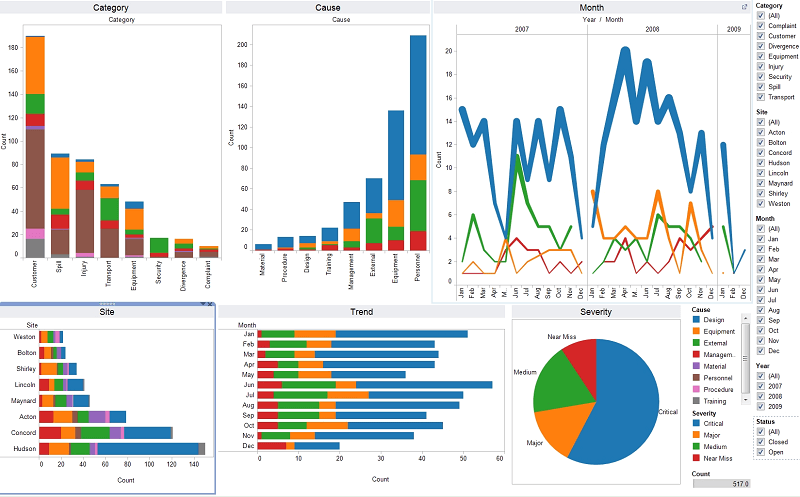 You can also create charts, heat maps using Pentaho easily and below is one sample dashboard shown created using Pentaho. 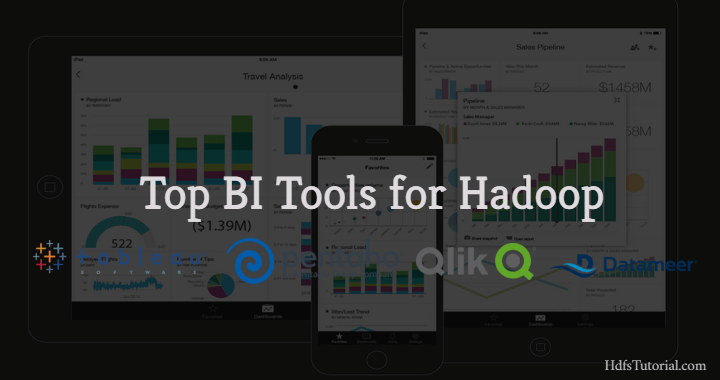 Qlik is also one of the top BI tools for Hadoop and Big data. You can do a complete analysis of your data using the different products of Qlik. Also, there are some features in Qlik which you won’t find with the majority of other business intelligence tools for Hadoop like the connection with Facebook, etc. Qlik allows you to connect with various data sources like SAP, SAS, Hadoop, SQL etc. and you can do further analysis and reporting. 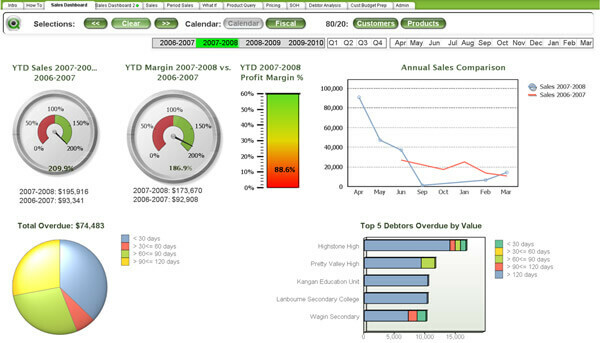 Here is a sample dashboard created using Qlik. Now let’s see a detailed comparison to the different BI tools for Hadoop and Big Data we discussed above. The blank fields shown in the table depicts that we don’t have information available for that particular field. Pricing (starting from) $500/yr. $1350/yr. By quote only $299/yr. Now let’s see the connectivity with major sources as a part of Business Intelligence for Hadoop comparison. These were some of the top BI tools for Big data and Hadoop users. You can check the comparison and can decide with which one you should go ahead with. Tableau for a year as well. Also, almost all these tools provide free trial which you can use for evaluation purpose as well. Experts share advice for selecting tools used in big data analytics, tips for identifying business goals, best practices for existing resources and insights into how to avoid common mistakes.